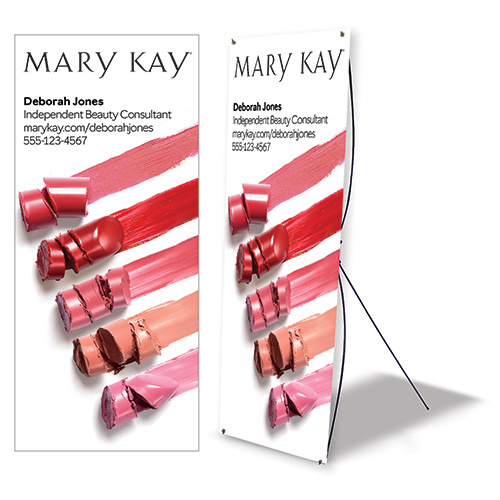 This customizable banner adds professional sophistication to any Mary Kay event. Entire set is lightweight and easy to transport and store. Banner is made of polyester, grasshopper-style stand is easily assembled with instructions included. Includes carrying case. Up to 4 lines of personalization, title required. 30-Day 100% Satisfaction Guarantee and One-Year manufacturer's warranty on defects. My inspiration for the Mary Kay® Beauty Coat was Coco Chanel’s effortless, natural look - embracing clean lines and simple, elegant style. The knitted material was the first choice for its comfortable feel and easy use and care. It's becoming quite a trendy material in Europe now. The casual knits were also what Chanel's boutiques introduced first for a new generation of young women eager to live active, independent and dynamic lives. I hope you love wearing my beauty coat as much as I loved designing it for you! Copyright © MK Connections. All Rights Reserved.